Hey kids! Today we’re going to take some time to closely at websites we find online to make sure they are valid, resourceful and kid-friendly. We want to make sure if you ever need to use the computer to search a Health topic, you have some great resources in your back pocket to go to. Next let’s do some research and look at the KidsHealth website together. Now it’s your turn on your own! First, download the note-taking sheet. Hey middle school health students!!!! We would like you to take some time and take a survey to help us better understand where you go to find answers to your questions when it comes to topics related to Health. Please click on the link below to begin the short survey! Get Ready to Enter…THE BLUE ZONES! Hey all you 6th graders! So you just learned about the Wellness Wheel and the four main areas of our health: Physical, Social, Emotional and Mental. You also learned that you are at your best when these four areas are at healthy balance. But sometimes knowing actually HOW to maintain balance in these four areas can be tricky! First go through and look at Blue Zone Slideshows from the National Geographic. As you are looking at the pictures and reading the captions of the pictures, write down any FIERCE WONDERINGS about what you’re seeing on post its. What are you wondering about while looking at the pictures? Do you have any questions about what you see? What do you notice about the pictures? Give them about 15 minutes or so to look through the pictures and write down their wonderings. Come back together as a group and have them bring their post its up to the FIERCE WONDERINGS chart paper and stick theirs up. Have a discussion about this. This is where you come in. We need your help. I know you just saw the slideshows and pictures of people living in BLUE ZONES. It’s crazy! People can’t stop talking about these places and we heard people who live in Blue Zones are special for some reason but we have yet to find out why. For some reason, I think the information we learn about blue zones could help us in some way. So let’s find out more about these BLUE ZONES!!!! 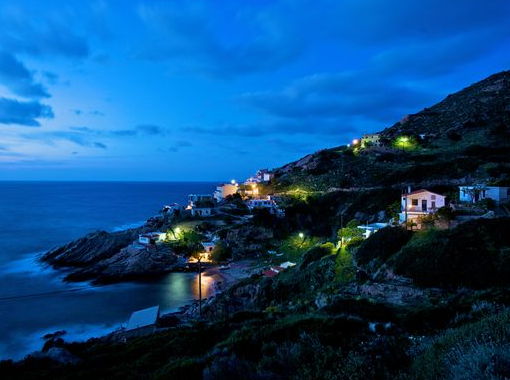 Begin your travels to the Blue Zones by Clicking this link: Blue Zones Project-Word. Show them my latest post and read to them the paragraph about Blue Zones. Show them where to get their research sheet, open the link and go over the questions with them. Have them open and save this document in their Health folders. Begin the research on Blue Zones!